Can Jim Humble MMS Supplement Drops Help to Cure Disease? - Life is so Amazing! » Can Jim Humble MMS Supplement Drops Help to Cure Disease? It lead me to his website and I've watched hours and hours of videos and read other books and documents about the MMS Supplement drops. It's amazing what the MMS supplement drops have done to heal people around the world. But the uproar it's created in the medical community is confusing! I had to learn more! What are MMS Supplement drops and how do you take MMS? MMS is a very complex yet simple solution. You simply take 1-3 drops of an alkaline mineral solution. Mix it equally with 1-3 drops of an acidic activator. Let the two react for 20-30 seconds. Now dilute with water and drink it. It cleanses your system for about 60-80 minutes. It's suggested to take this 8hrs a day for 21 days for a complete body clean up! People have reported MMS removing bad bacteria, pathogens, viruses from their bodies. In turn this allowed their immune system to be more effective at healing. There are testimonials from all parts of the world that will amaze you! Could something this simple and this inexpensive, heal the majority of people worldwide? Where did MMS Supplement drops come from? 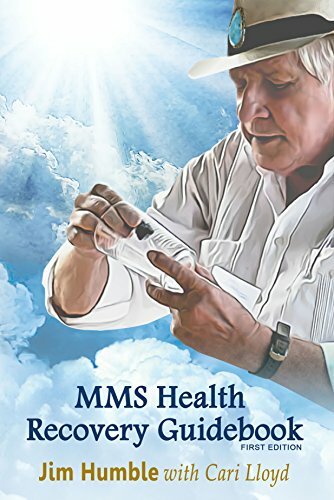 Jim Humble discovered how to create MMS supplement drops while in South America in 1996. A couple of his mining crew members contracted Malaria from mosquitos. They didn't have any medication with them but he sent people to the nearest camp. The round trip would days so they had to do something else! Jim remembered hearing about healing people with Chlorine Dioxide. Alkaline drops combined with an acid activator diluted in water. They used Sodium Chlorite tabs, which are used to purify water and available world wide. Next they mixed a few drops with a citrix acid to create Chlorine Dioxide. Next they added water to dilute and drank this every hour for 8-10hrs a day. Within 24-48hrs the illness was gone and they were healed before the team got back with the medicine! This started Jim on a long journey to many areas of the world! He's healed hundreds if not thousands of people with a simple mineral solution! Why the negative press about MMS? It seems we humans don't trust anything that doesn't comes from science, studies or doctors. What ever happened to trusting mother earth and what she provides? I support the medical community, including pharmaceuticals! But when something in nature is discovered to do so much for so little, why is it covered up? If you look at the FDA statements, wikipedia and news reports, all they talk about is the dangers of MMS and to avoid it. But none of them show any proof of people getting ill, causing harm or death. They don't talk about the hundreds of testimonials and doctors who back MMS. It doesn't make sense, the results should speak for themselves! A few drops of an acid with an alkaline mineral diluted in water is not harmful. Sure if you take too much you can get sick but that's the same for many things you find in your cupboard and under your sink! They must have something to sell! This is what drives me crazy because some people claim they are doing this just to make money? Sure people have to make a living but they have little to gain financially. In Jim's book and other online videos, they give you the instructions on how to make MMS supplement drops at home! You can buy it online if you prefer the convenience. It will likely be labeled “water treatment drops” because that's ok to sell but not MMS? A years supply of MMS, Activator and DMSO is less than $100 US! Imagine, A World Without DIS-EASE - Is It Possible? So how do MMS Supplement drops work? Next you take Hydrocloric Acid (which is found in our stomach so it's safe) and dilute it down to 5% HCl. It's easier to buy 5% HCl if you don't want to mix it. You can find it locally or buy online. This is know as the MMS “activator.” You can also use Citric Acid which is used in soda and other drinks on the shelf. I've even heard of people using a fresh lemon or lime. To start you put one drop of MMS in the corner of a clean glass. Then a drop of HCl and let them combine/react for 20-30 seconds. This creates an amber color and what is called Chlorine Dioxide. This is the point where most news reports and critics miss that this is NOT Chlorine like you use in a swimming pool. This is NOT bleach like you use in washing clothes! If you are highly infected internally you may react more and need to ease into the full dose per hour. During the 8hrs cleansing, DO NOT drink coffee, tea, or alcohol or take any antioxidants. These can dilute and/or deactivate the MMS1 solution. This is only a brief description of what is called the Protocol 1000. I encourage you to read the book and watch the videos. You will learn about different strengths depending on your illness. Spray bottles, eye/nose/ear drops, baths etc. DO NOT try this with table salt or tap water. Be sure to read the book, following the instructions or buy MMS online delivered to you. Soon I'm adding DMSO which is another natural nutrient from the pulp of trees! DMSO carries the MMS deeper into your tissue and body. Start slow and test. I'm sure you'll find it's not that hard the results will amaze you! MMS does NOT heal, treat or cure ANY disease. However it does remove pathogens, bad bacteria and viruses from your body. This allows your immune system to take care of itself and heal from many major illnesses! This is simply a supplement to help you heal and gain more energy!